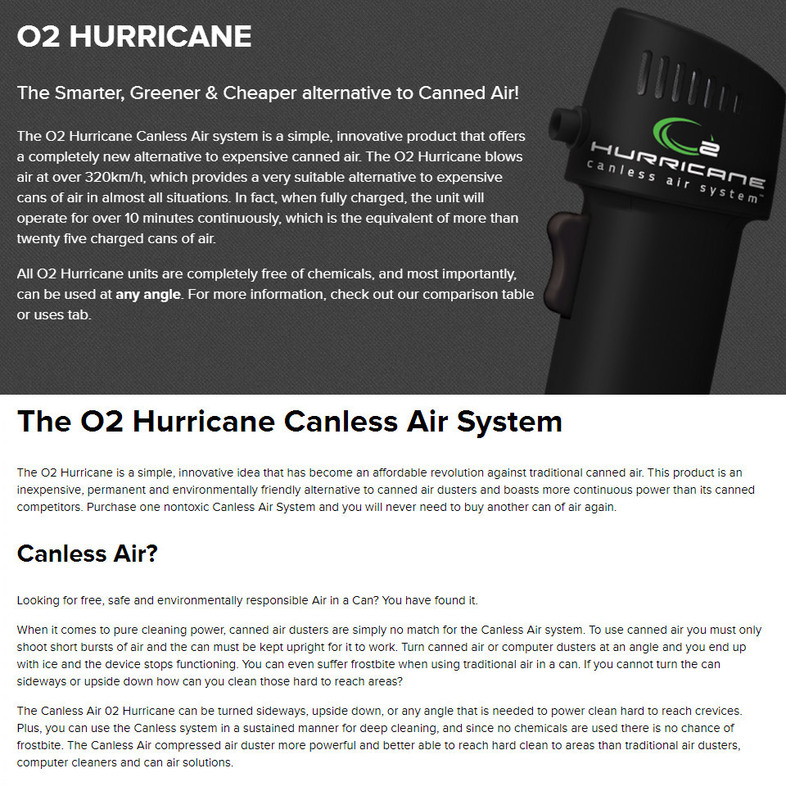 The O2 Hurricane is a powerful canless air system designed for cleaning computers, keyboards, camera lenses, mirrors, workshops, desks and much more. It produces a blast of air at over 320km/h and can run continuously for over 10 minutes. 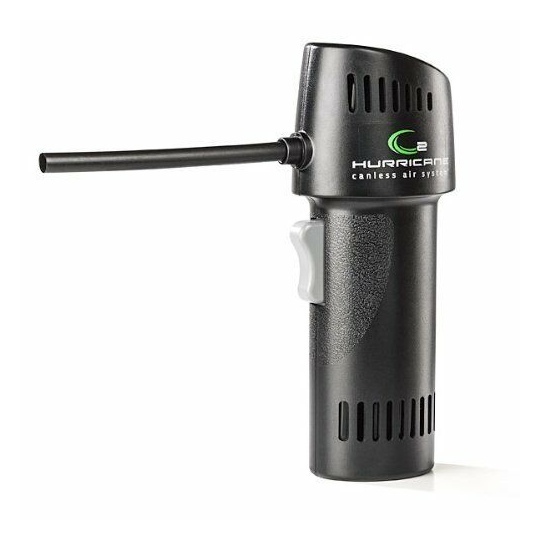 It can be charged over 500 times equalling more than 1,000 cans of air - helping you save and best of all, can be used at any angle providing you with full flexibility. Includes an Australian / NZ power adapter and 2x 12cm air straws. 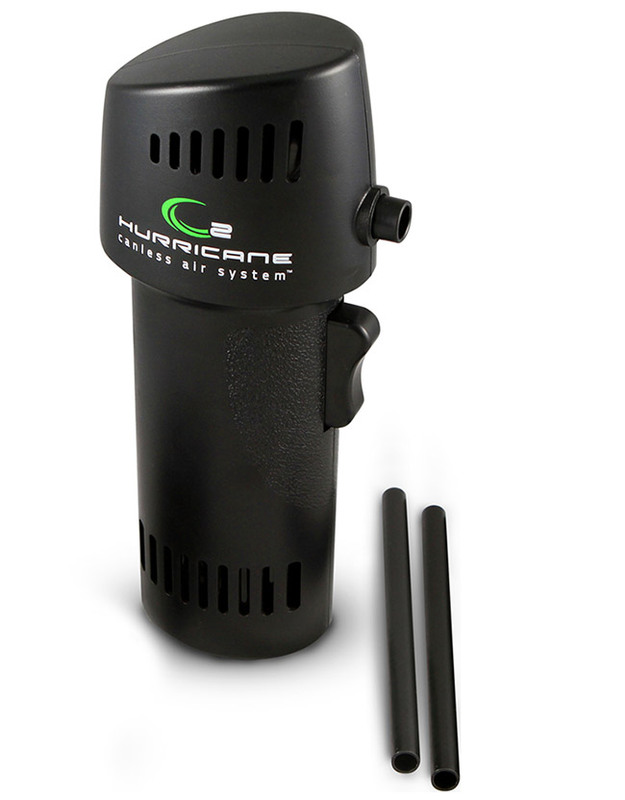 For hard to reach places, check out the O2 Hurricane Attachment Kit which comes with an extra long flexible straw, 45 degree nozzle and a brush attachment.